SitePro® is a division of Worksaver, Inc., a long-standing manufacturer of attachments known for its manufacturing strength and ability to deliver value to its customers. This commitment is carried over into its SitePro division. 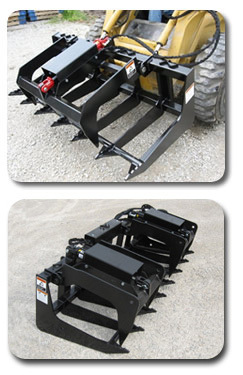 SitePro provides high quality skid steer attachments, compact equipment attachments, utility tractor attachments and front loader attachments. Our products bring versatility, productivity and quick return on investment when coupled with any power unit. Demolition, landscaping, nursery and construction site attachments are available, as well as attachments for many other areas. Products are engineered, designed and tested for reliability, versatility, value and convenience. Ongoing research and development assures that our attachments meet your standards and provide the performance you demand on the job site.